Arizona Diamondbacks starting pitcher Patrick Corbin. UPDATE [4:03 p.m.] You just knew it would end this way. After the Phillies rolled the red carpet out to try and sign free agent pitcher Patrick Corbin, the NL East rival Nationals seem to have swooped in and inked the lefty — leaving Phillies fans potentially pessimistic about that is to come. If the Nats or Yankees compete with the Phillies for Bryce Harper and Manny Machado, the young, up and coming team may not have the firepower to land their star — unless money talks. For Corbin, money certainly played a part. Source: Corbin six-year deal with #Nationals is above Yu Darvish’s $126M guarantee with #Cubs. Pending physical. Corbin will now become a thorn in the Phillies side as the teams will play 18 times, as Corbin joins Max Scherzer and Stephen Strasburg to form one of the top rotations in major league baseball. After years of being more or less timid — for reasonable reasons like the Phillies roster being old and non-competitive — the front office looks to finally be flexing its financial muscles as they chase after Corbin with upwards of $125 million. The Phils could wind up tossing around over half a billion dollars if they successfully ink Bryce Harper, Manny Machado or both. Adding Corbin to a rotation already featuring Cy Young finalist Aaron Nola, former Cy Young winner Jake Arrieta and a handful of other young promising arms could turn make the front end of Philly's pitching staff an even greater strength in an NL East that is making moves left and right. 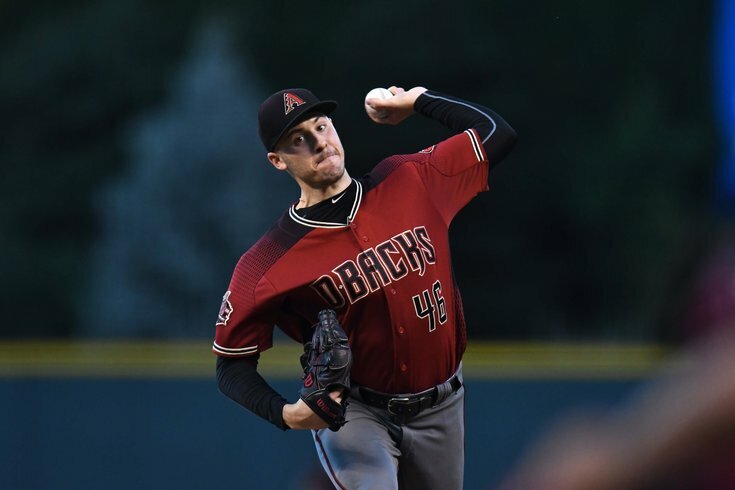 UPDATE [10:50 a.m.]: The Phillies, according to a report, made a good enough impression on former Diamondbacks left-handed starter Patrick Corbin that he appears to be heading to Philadelphia. Other reports, notably one from Bob Nightengale, say that Corbin — with whichever team he inks with — is in line to make around $125 million over six years. The hurler has gone 25-20 over the last two seasons and has a career ERA of 3.91. He would become the only lefty on Philly's starting rotation. If he signs, he will be the first domino to fall for the Phillies, who have high free agent aspirations this winter. [10:15 a.m.] In case you were distracted yesterday by the Eagles getting back to .500, the Flyers hiring a new general manager, or the Sixers continuing to win in impressive fashion, the Phillies made huge news Monday. The team officially found its shortstop of the future in swift-hitting Jean Segura in a swap with the Mariners. Philly said good riddance to Carlos Santana's huge contract as well as former first round pick and one-time No. 1 prospect J.P. Crawford. Philly also bolstered its bullpen acquiring Juan Nicasio and Jamez Pazos, arms with big league experience. There will likely be a much more moves to come, as the Santana trade opens first base for Rhys Hoskins, and in theory gives an outfield spot for a potential Bryce Harper signing.